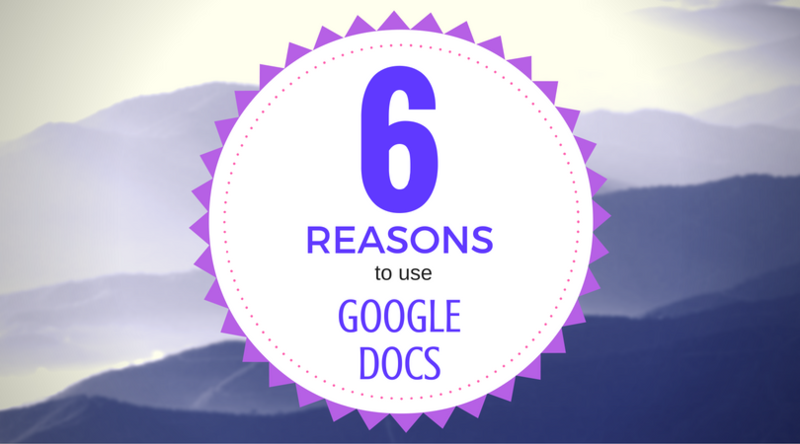 The latest installment in my series on 6 Reasons To Use Google Apps For Education will take a look at Google Docs. Google Docs is a free, web-based, word processing application that is basically like Microsoft Word. All files are automatically saved to the cloud so you never lose anything and can access your work from any computer, anywhere, using just a web-browser. In my mind, this alone is reason enough to use it. As a matter of fact, a month ago my computer died…completely. However, all of my files were saved to Google Drive so I didn’t lose ANYTHING! The other benefit to using Docs is that your students already have CofC Google accounts and it’s easy for them to use and access if you want to use it in your classes. Just like Microsoft Word, Google Docs allows you to write and edit documents, autosave, add images and tables, and create footnotes and bibliographies. But there are so many more features that set this tool apart from Word (way more than six)! Google Docs has all of the same collaboration, sharing and revision history that the other Google tools have (see the other posts in this series on Google Sheets and Google Slides to learn more) so I’m not going to include those below. Speech to Text allows you to speak into your computer’s microphone and Google Docs will type what you say. It isn’t perfect but it’s pretty darn good. 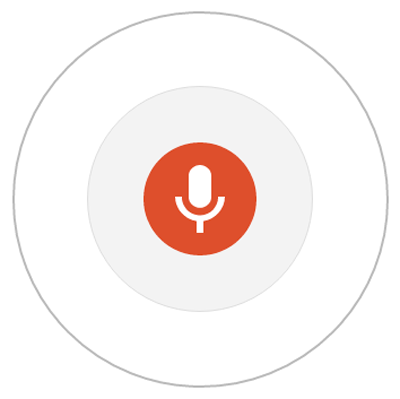 I am impressed with its accuracy without any of the voice training normally required by these types of applications. I recently read an article that discusses how well it does with dialects and accents. It also apparently works with a plethora of languages. NOTE: It only works with Google Chrome web browser but that shouldn’t be a deal breaker. To learn more visit Type with your voice on the Google Docs help pages. I love the concept of add-ons for a program because it allows users to add features that aren’t built into the program. My two favorite add-ons right now are SAS Writer Reviser and EasyBib, but there are others that sound really helpful such as VexTab Music Notation, Math, Rhyme Finder, and Teacher Rubric (disclaimer: I haven’t tried the last four). If you use the built-in style headers then Google Docs will automatically build a document outline that allows you to jump to any point in a document. Unlike a table of contents in Word, this outline always stays on the side of the screen, allowing you to easily navigate the document. Also, unlike the table of contents, the outline is updated automatically each time you add a new header. No more need to refresh the table. Access it under Tools > Document Outline. To learn more visit Edit and use a document outline in the Google help files. The Explore feature is available in each of the main Google tools but it does something different in each tool. In Google Docs, clicking on the Explore icon in the lower right corner of the window will bring up suggestions related to your entire document or to just the text you have highlighted. In Docs, Explore will show you topics included in the selected area, creative commons images that are related to the text, and related research articles pulled from the public web and Google Scholar. Google Drawing is built-in to Google Doc, allowing you to create charts, diagrams, and drawings without leaving your document. In addition to fantastic sharing and collaborating features, Google Docs allows users to save their document as a webpage. While you may be saying, “Well Word lets you save as a webpage,” you would be correct, however what Word doesn’t do is publish it to the web and give it a URL. This makes it very easy for students to share their work to an outside eportfolio or a blog or just publish it on the web for others to read. Giving our students a public audience for their work is an important component of some majors and this is an easy way to accomplish it. I hope that I have been able to sway you, if not to completely change to Google Docs, at least to give it a try. It has evolved over the years into a stellar product so if you haven’t tried it in awhile (a year) then give it another chance. I think it will win you over!